Etiquette Rules! 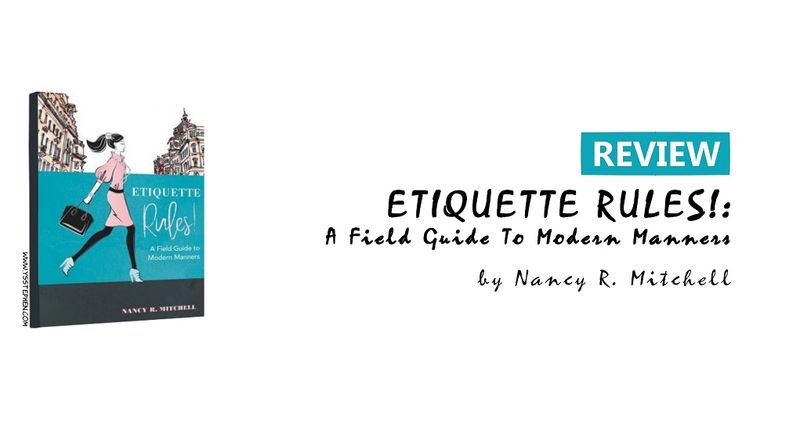 is a book that seeks to educate on the importance of proper manners in different settings as well as showing ways to acquire such manners. CEOs, diplomats, people working in hotel and service industries, Customer Service Advisors... anyone with interest in studying and influencing human behaviour through appearance. This is one of the most practical books I've read this year. There are loads of hints on deciding how to appear and conduct yourself when you do not know the situation you are walking into, how to interact properly with a disabled person, the principles of a good handshake, the art of proper listening, and more. If you are in a job or career that deals with people day-to-day, learning the good habits in this book might change people's perception of you as well as take you far careerwise. "You might be surprised to learn that there is a gauge in your brain with one purpose and two settings. The settings on the gauge are formal and informal, and its sole purpose is to serve as a firm hand to steer you in one direction or the other when you have choices in attire, forms of address, greetings, introductions, communication, and social and business decorum. The default setting on the gauge is formal, because we always begin with formality. Why? Because it is difficult to offend someone by being too formal and very easy to give offense when being too informal too soon. By beginning with the needle set on formal, we demonstrate respect. Then, as we pick up signals from the people, occasion, and environment around us, we may decide to move the needle toward informal. Knowing if and when to move the needle will be a critical component of your success." Etiquette Rules! : A Field Guide To Modern Manners by Nancy R. Mitchell is available to buy on all major online bookstores. Many thanks to Wellflett Press for review copy.